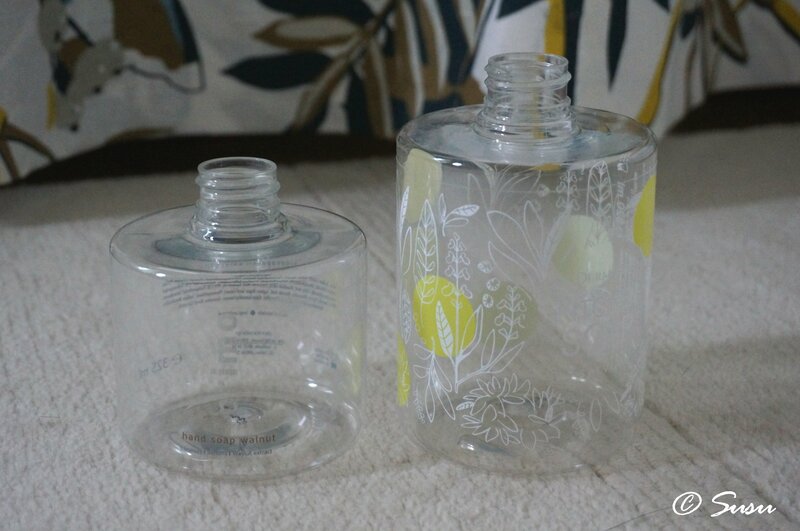 These bottles are reusable, but the soap pump will eventually break down while the bottle is still in good condition and can be given to dog to play with. 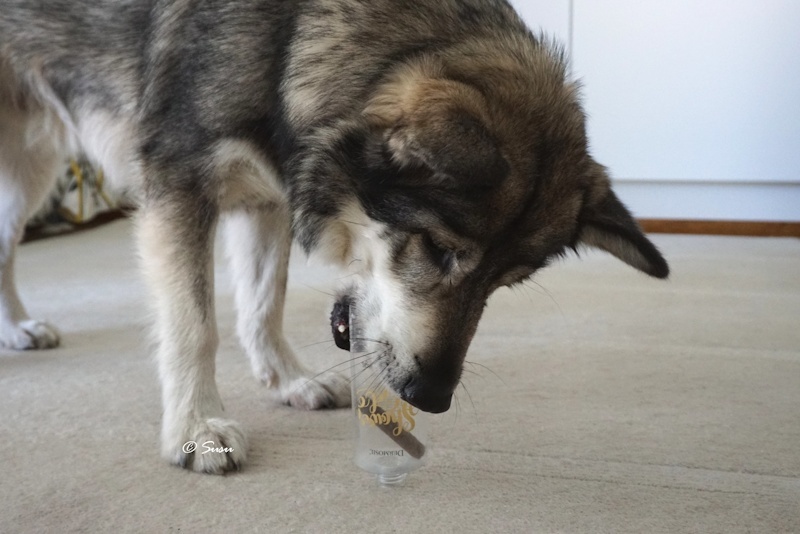 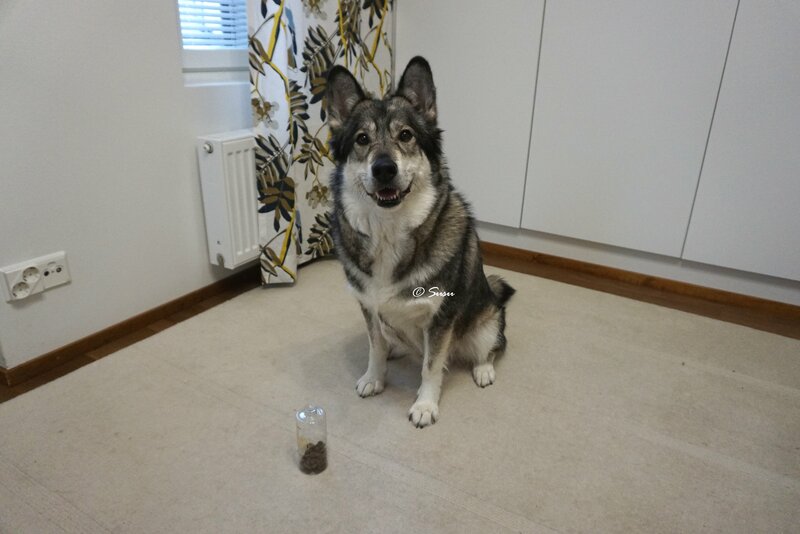 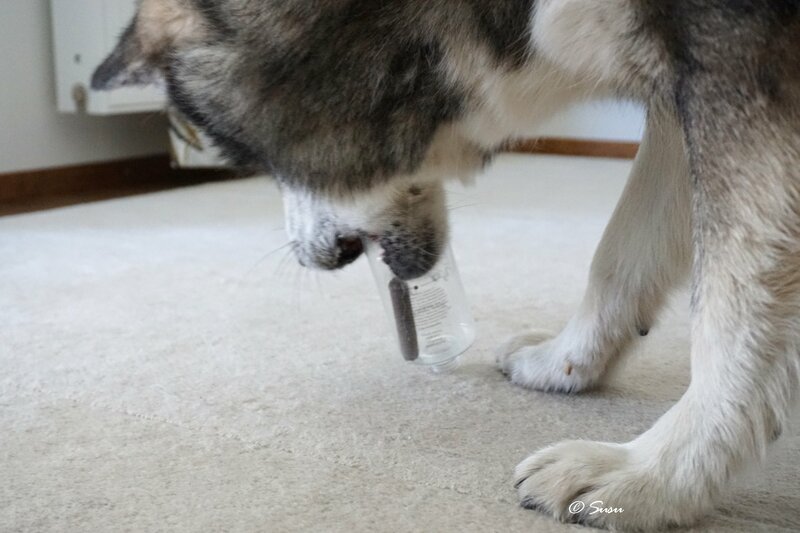 When you give any bottle to your dog, make sure that the bottle is safe to use. 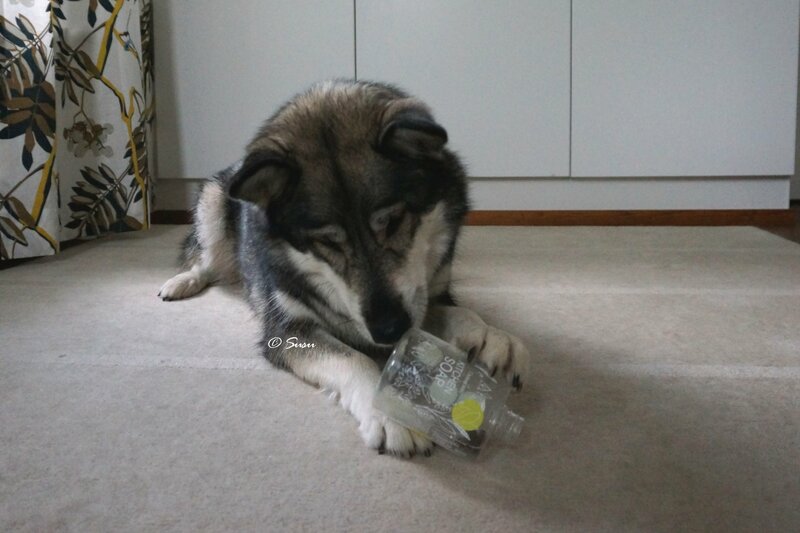 Do not give any bottles that have had any toxic substances in them. 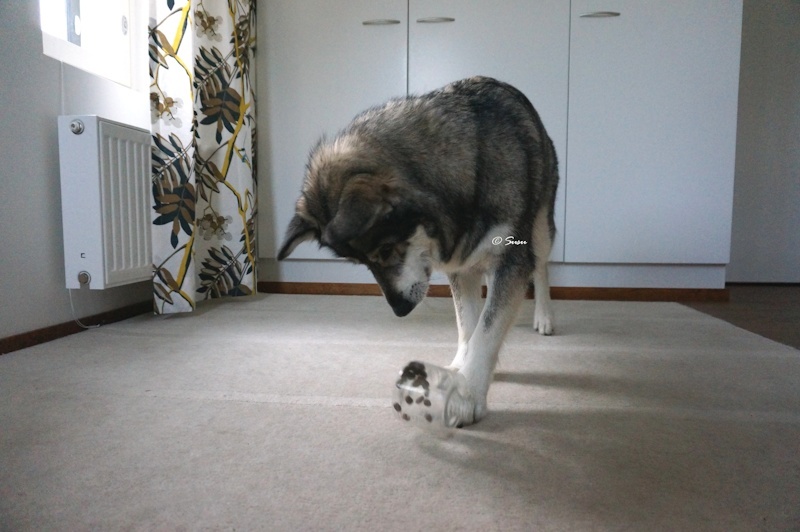 Kitchen soap bottles and hand dishwashing liquid bottles are usually safe to use. 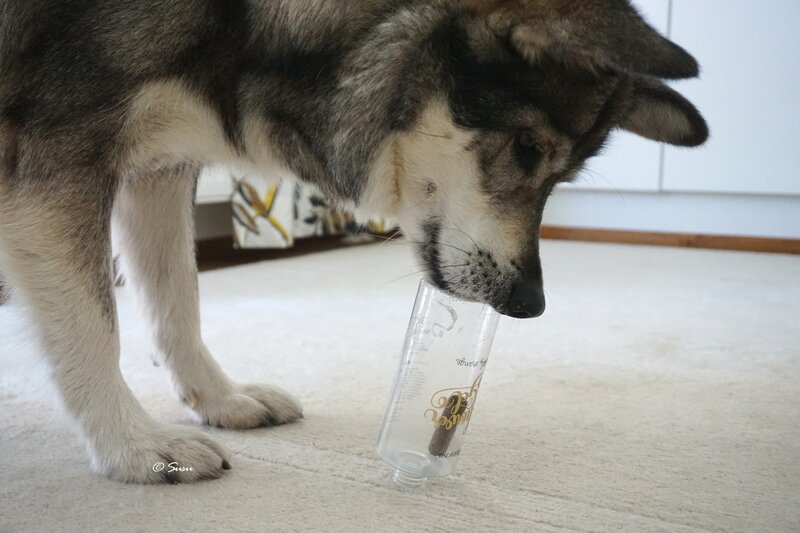 In addition, you should always wash the bottles thoroughly before giving them to your dog. 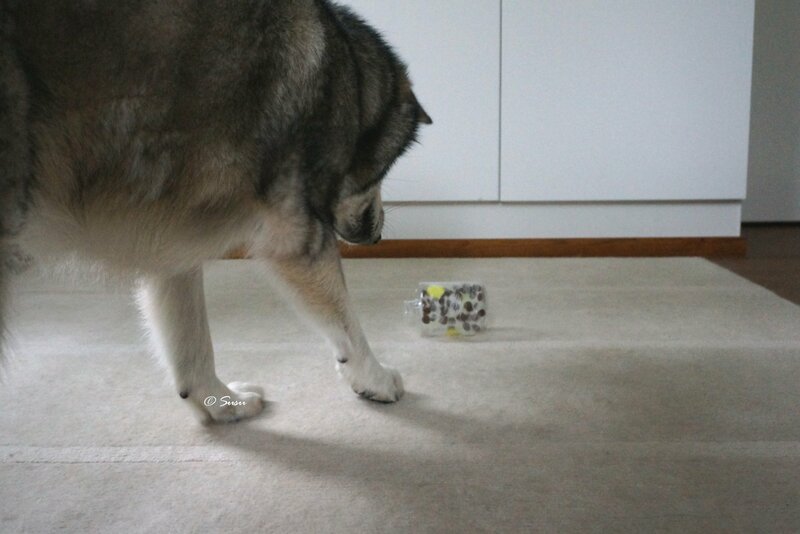 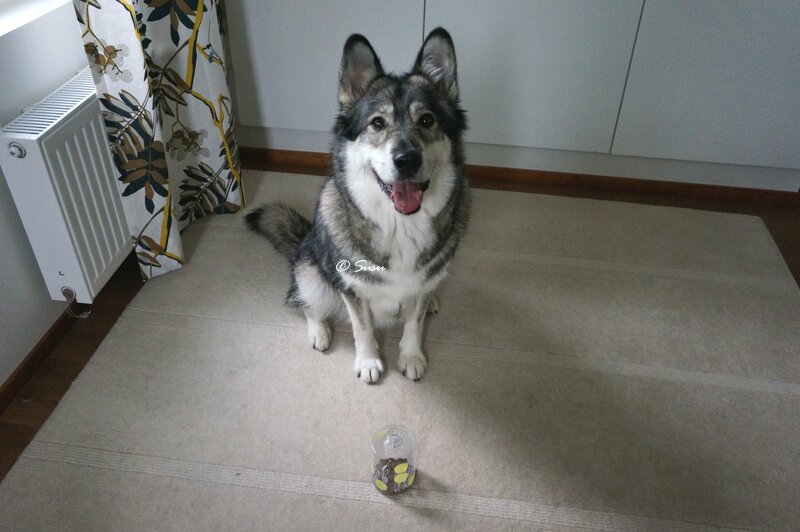 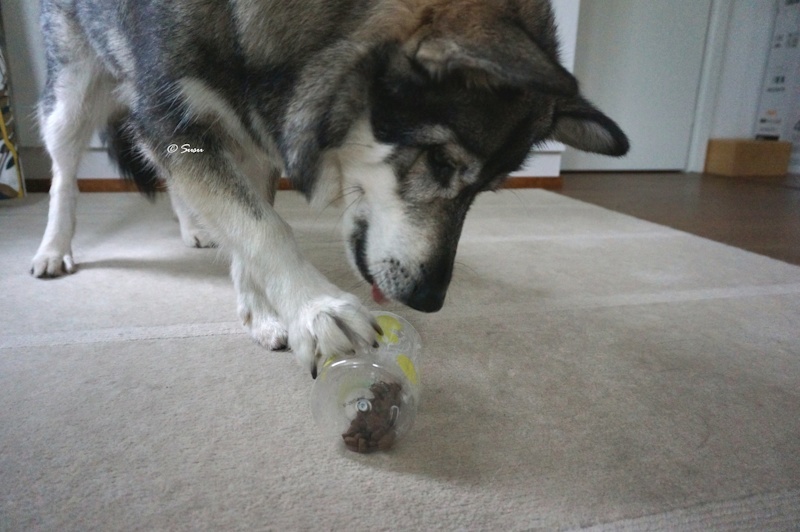 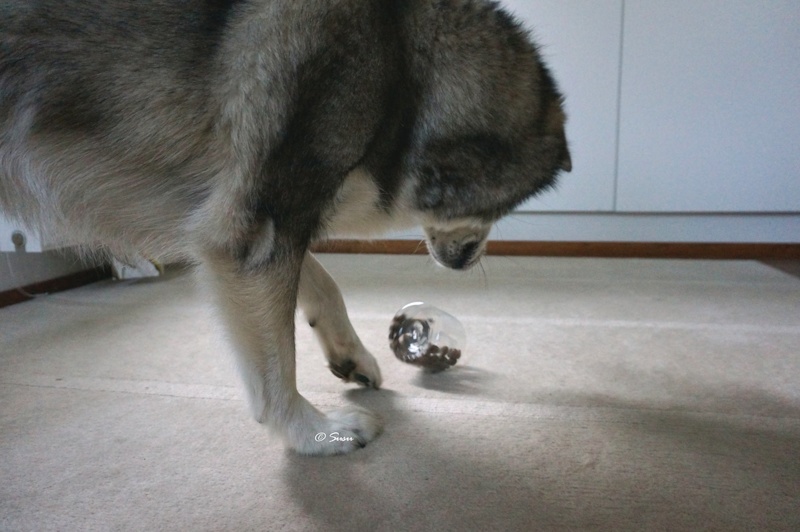 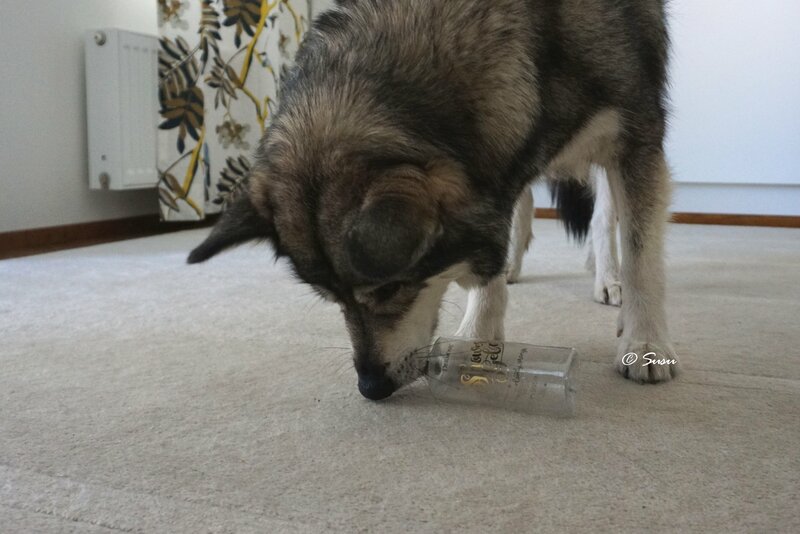 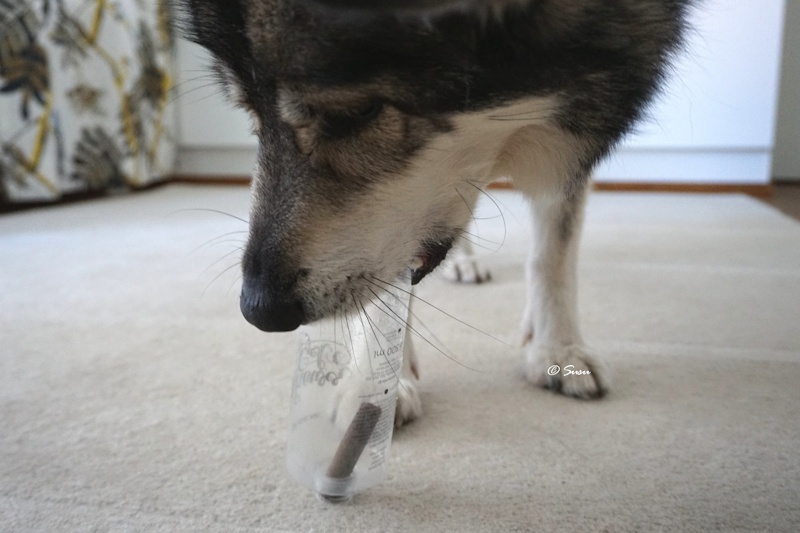 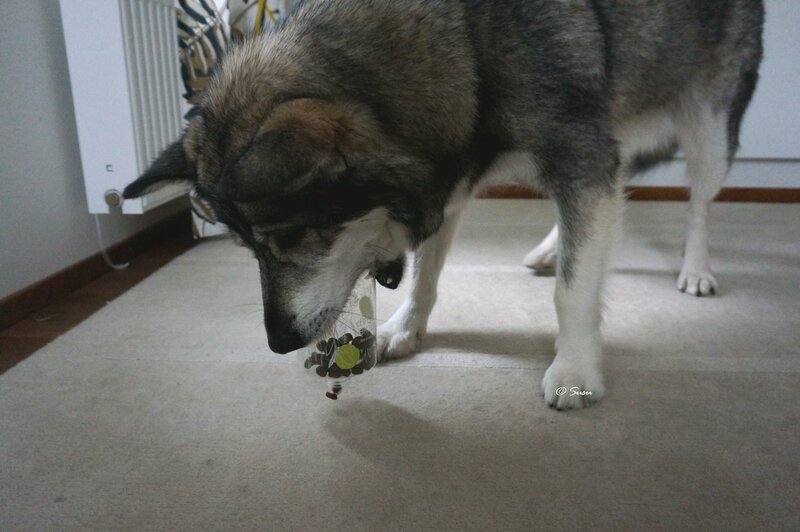 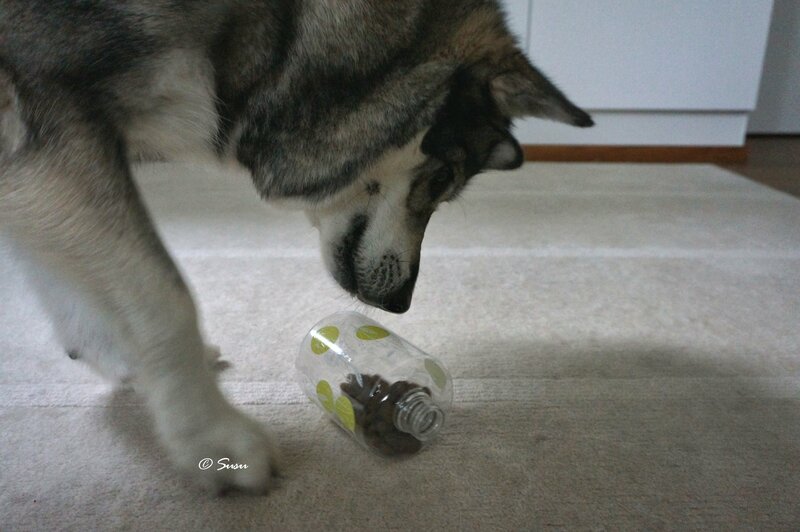 I normally use kibble with these bottles, because any soft or sticky treats would be too hard for a dog to get out. 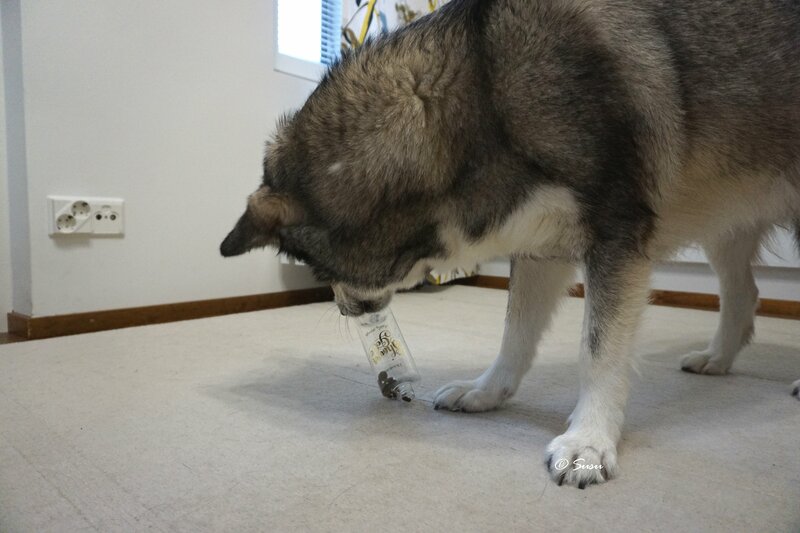 It takes Miki about 2 to 5 minutes to get all the kibble out. 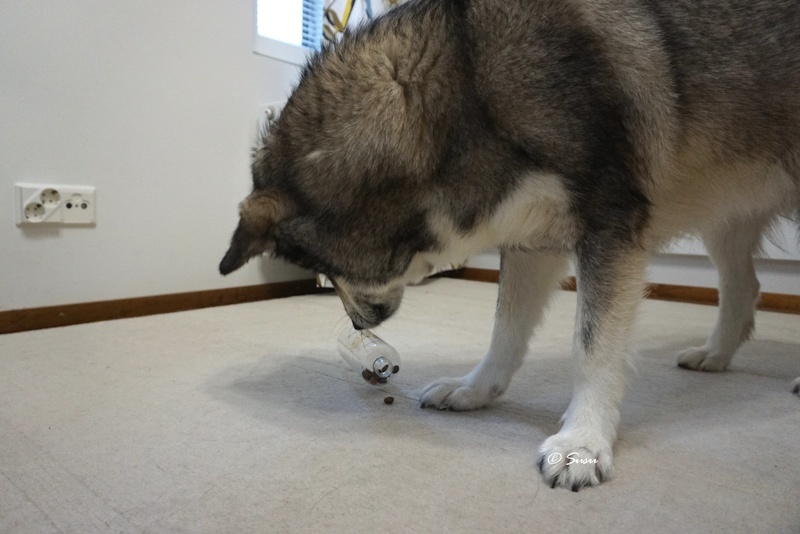 If you want to increase the difficulty you can try to put elongated treats into the bottles. 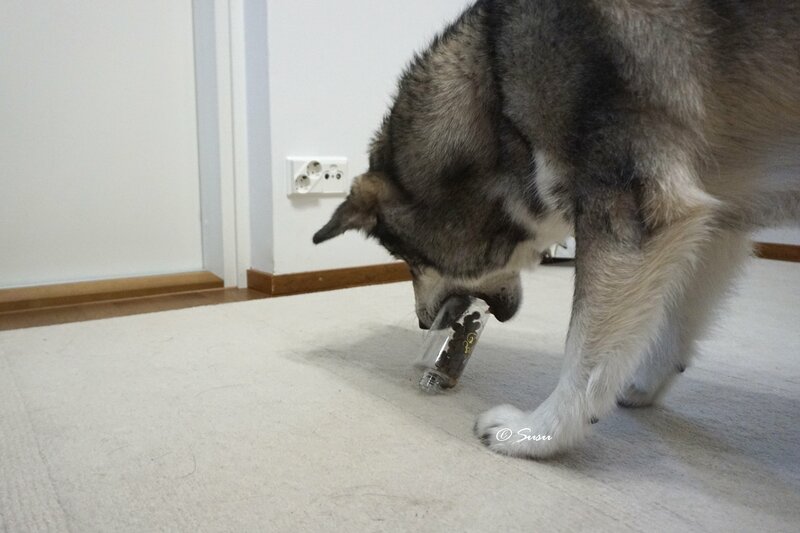 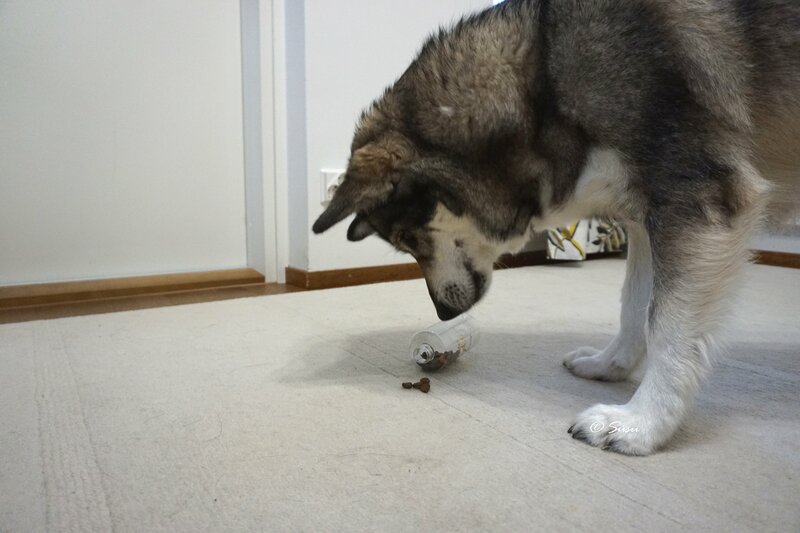 I put a 6 cm piece of a munchy chewing roll into the bottle and it took Miki about two minutes to get it out.